Each relationship, either personal or business orientated, starts with a question. And the people who are most successful at building lasting and fruitful relationships, not only ask the right questions, they listen attentively and sincerely to the answers. That’s how they get the information they need to close the deal. Here we take a look at the questions a sales rep should be asking and at what point of the sales cycle different questions come into play. To kick-off your relationship with a prospect, it’s best to ask questions that elicit short answers. This helps to quickly qualify a lead and keep the conversation moving. Early on, long open questions that probe for thoughtful and involved responses won’t get you anywhere. Start by building the foundations of the buyer-seller relationship quickly and seemingly effortlessly. Ask short questions that verify the data you have gathered. For example ‘I’ve found that many businesses in your area have difficulty with X, is this the case with you also?’ Understand the questions beneath the data you have already gathered and lay the foundations of the relationship as you verify your findings and get a better feel for the context of the potential sale. Once you have qualified your prospect and the information you have gathered, it’s time to delve a little deeper into their challenges and also their typical sales process. Open questions are the best way to do this. Lead your prospect into giving you the information you need and to talk more than you with thoughtful and probing questions. ‘How long has this been an issue for the business?’ and ‘Why is the business addressing this now?’ are great ways to learn more about their problem, what the business hopes to gain from purchasing a solution to it and how high it is on their list of priorities. Listening carefully to the answers will also make the next question much easier to formulate. 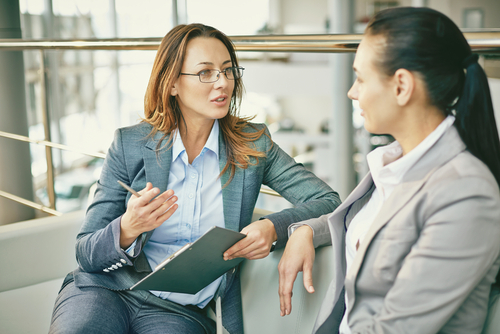 Making sure you are meeting and talking with the right people doesn’t have to alienate your first point of contact either – they can be an ally throughout the sales process. Asking who, in addition to them, is involved in sorting out the solution for the challenge your product or service addresses, is just one question that evokes a feeling of connection with you and elicits the information you need for arranging future meetings, reaching the right people and ultimately closing the deal. Throughout each meeting your questions should support each stage of the sales process and help to create a picture of the possiblities and situation that purchasing your product will bring for the customer. Ask what their vision of the future is, what they are trying to achieve and the most difficult challenges they face in reaching their goals. Answers to these questions will make your next steps as a sales rep much clearer and bring you closer to closing the deal while also creating a firm relationship and understanding between you and the client. Just as Stephan Schiffman notes in his book ‘Ask Questions, Make Sales’; good sales rely more on asking and listening than pressuring a prospect towards a sale. 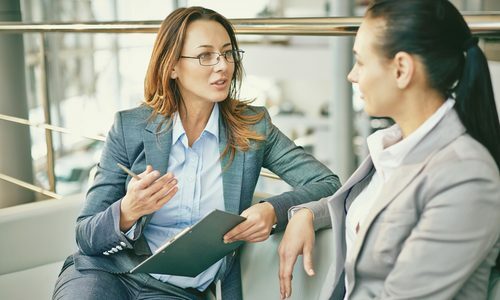 Leading a prospect to a sale with your interested and intentional questions is a great way to build a lasting relationship that results in a loyal customer. Each question asked by a sales rep should have context that is relevant to the customer and bring them closer to their purpose – selling their product because it is the right fit for the challenge being faced by the customer. When done well, asking the right questions and attentively listening to the answers will take you to the natural conclusion of closing the deal and leaving not only with a sale, but a loyal and happy customer that feels they have been heard and understood, rather than sold to.